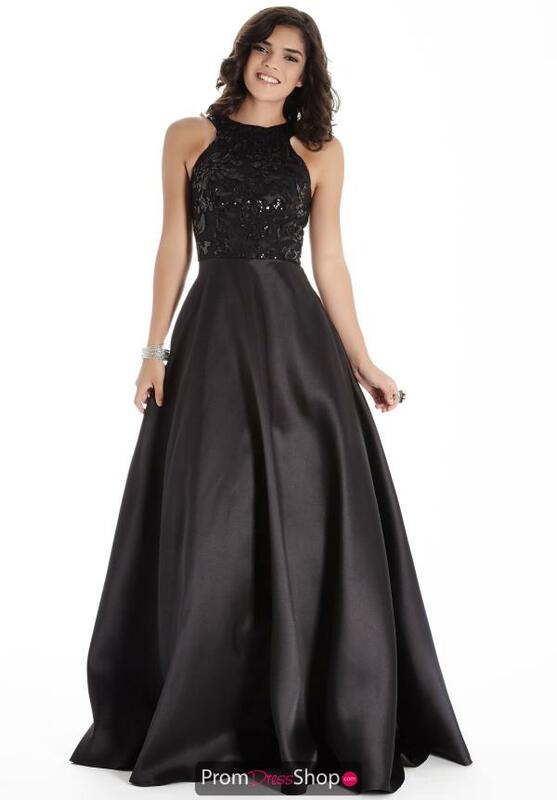 This taffeta prom dress style E70028 from Jolene is flattering on all figures and will have you be the princess of the night. This gown showcases a completely sequins accented fitted bodice in a stunning pattern. It also features a sophisticated high halter neckline with a sleek cut and a grand full a line skirt. Shop for this and more at PromDressShop.com.